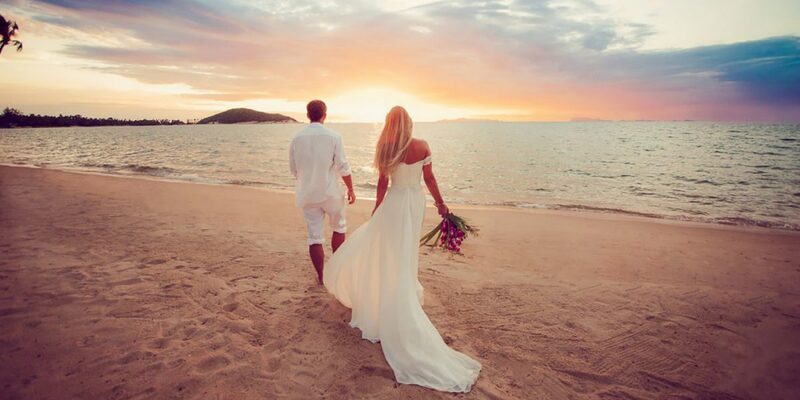 Congratulations … planning a destination wedding is such an exciting time! It might seem a bit daunting from the outset with some crucial decision to be made but as you work through it all, chances are you’ll grow even more excited about your decision to marry away from home. Once you’ve decided where you’ll be marrying, you’ll be able to gain more clarity with aspects such as your wedding fashion and beauty, guest lists, the theme and the menu. If you are having guests, you’ll need to give them enough notice! If you choose a resort that specialises in destination weddings, chances are they’ll have a great wedding coordinator on hand to help with the legal requirements for marrying in the location you’ve chosen. We have curated list of wedding gurus for some of the best wedding planners in the Asia-Pacific to point you in the right direction. Our Wedding Guides can also help you with organising your special day, finding any legal requirement information and highlighting the best times to get married in each country. Here, you’ll find a library of articles covering everything from cultural wedding customs from around the globe to planning tips, checklists and even guides to helping keep your guests comfortable. Whether you are looking to have a city, snow, outback or beach wedding, all the information you might need has been organised into one handy spot. All the best with your destination wedding planning!